Camioncyclette Is Like The Pickup Truck Of Bicycles | OhGizmo! By Andrew Liszewski on 11/01/10 • Leave a comment! You know how the big downside to owning a pickup truck is that your friends are always asking you to help them move? Well I suspect the same thing would happen if you also rode this Camioncyclette, designed by Christophe Machet. 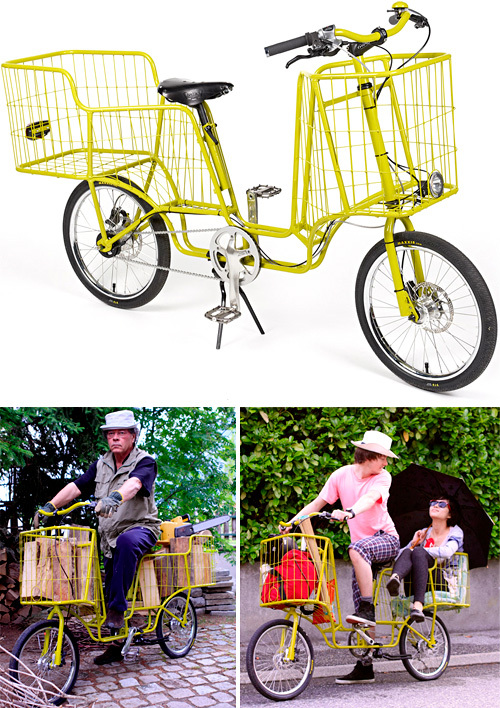 It features ample sized storage compartments in the front and back of the bike, and the ride-able prototype can apparently support somewhere in the neighborhood of 330lbs, meaning you can carry people too if they’re willing to contort themselves into a wire cage.